Reel Action Raglan Limited bases their fishing charter operations out of Raglan New Zealand. 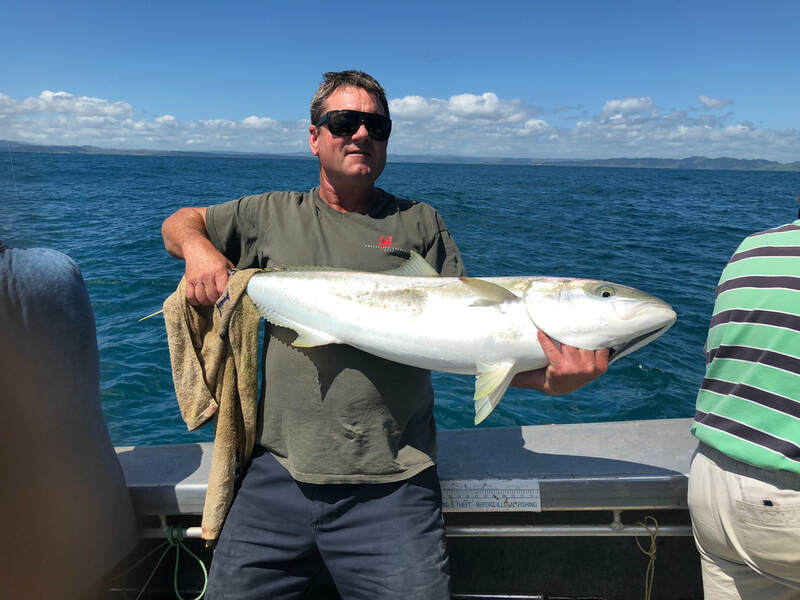 Specialising in small private Group Fishing Charters from one to eight people for a half or full day out fishing Raglan's West Coast you will long remember. Choose an entire boat all inclusive half or full day charter, or pay per head bringing your own gear, bait and food, it's up to you how your day is put together and we are here to help. We can build a day out on the water around you and your group. Operating a state of the art 7.7 meter (26 foot) Senator aluminium pontoon boat with twin Honda 150hp outboard engines we take you to the fishing action safely and comfortably in style. The boat offers excellent stability at rest and a soft ride underway with plenty of covered protection from the elements. 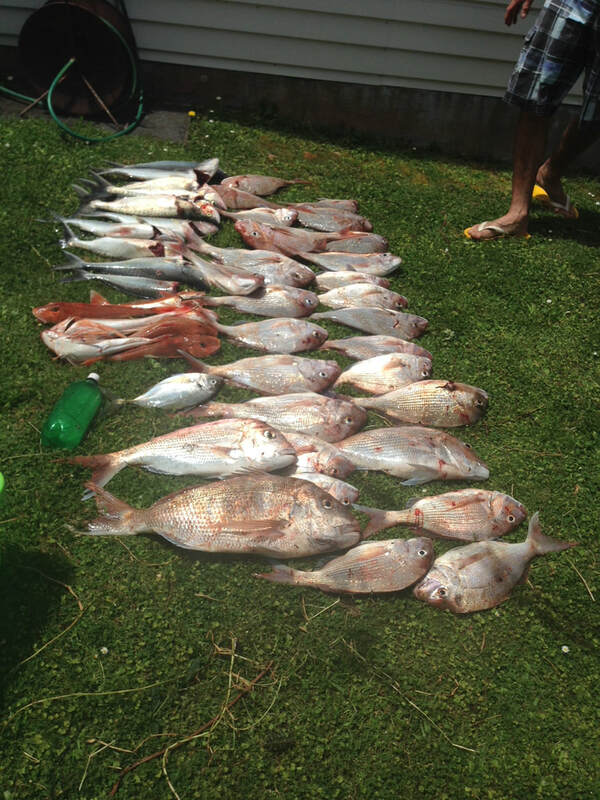 We have a Raglan Fishing Charter, Raglan SCUBA diving charter or a Raglan boat charter for you and your friends and family to enjoy. Due to it's isolation the West Coast of New Zealand's North Island is relatively untouched for fishing. October to January stand out as great times to catch large school Snapper when they appear at the 50 meter mark to spawn. 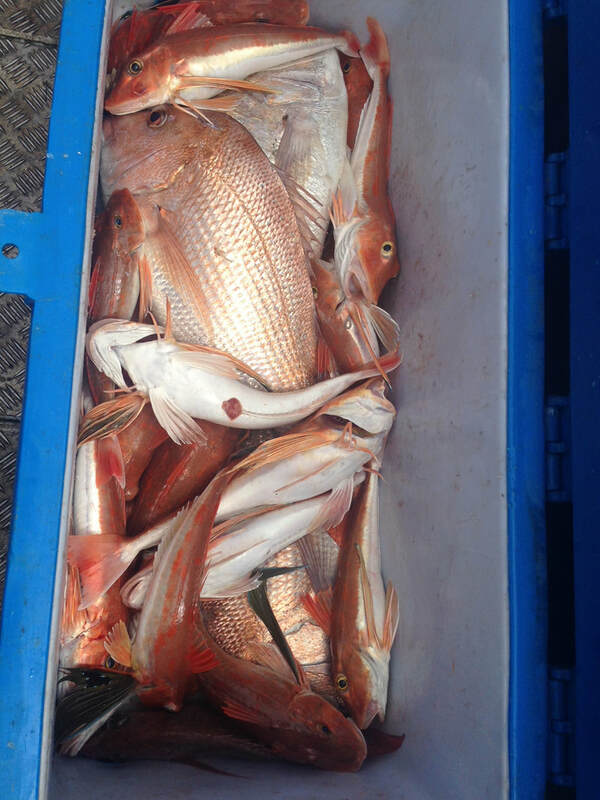 From March to June there are plenty of West Coast pan size snapper to be caught in all depths. The largest kingfish specimens in the world are caught around New Zealand. Raglan's reefs hold some excellent specimens in Summer and Autumn months. Let us take you there for a crack at these hard fighting fish.